Welcome To Our Complete Guide To The Best Siamese Cat Names! Siamese cats are brilliant.They are social, vocal and love interaction, communication and companionship. These cats are popular for their social temperaments and their striking features. Typically large ears, slender figure and short, often pale, fur coat. 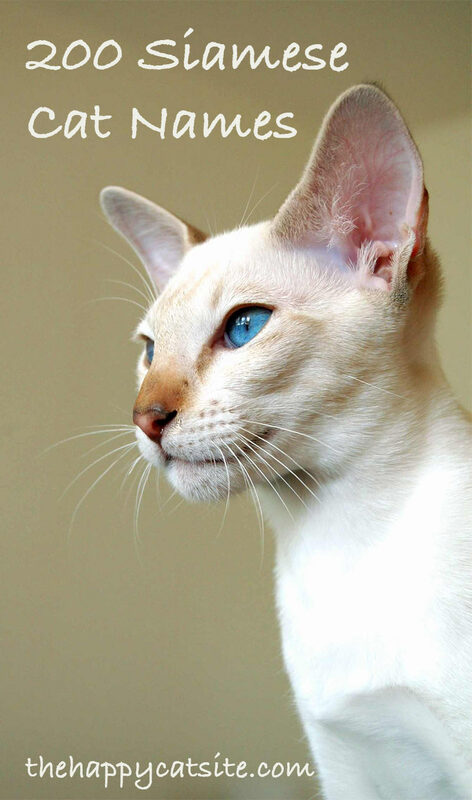 The distinctive features and personalities of Siamese cats can be great sources of inspiration for their names. Everyone wants a name for their pet that will suit it perfectly, but it can be a hard decision. 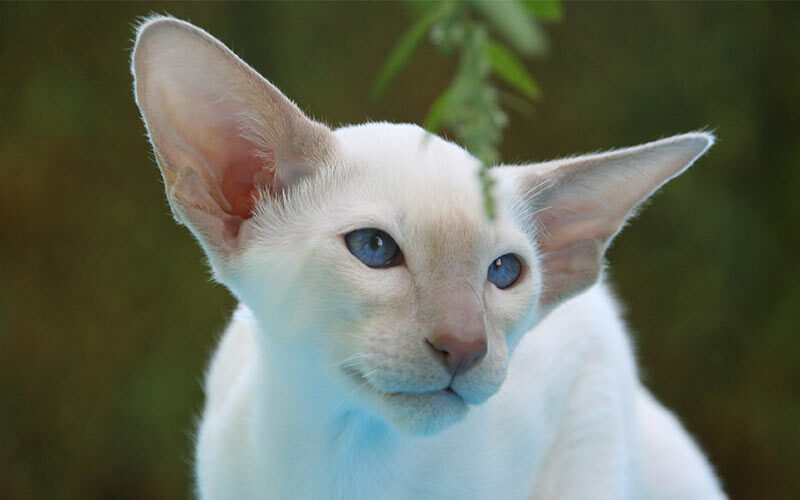 This article will provide you with some different names we think are great for Siamese cats, inspired by their physical appearance, personalities and more! Hopefully one of these names will be the perfect choice for your own Siamese cat! If you don’t mind your Siamese cat having the same name as other Siamese cats, one easy way to find a good name is to take one from Siamese cats in popular culture. These could be pets of famous people, or even cats in films, books and TV shows. These names can be great fun, especially if you have young children in your family and you’re choosing a name from a film they know. Below we’ve listed some potential names for your siamese cat, and where they come from! 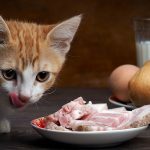 Although many people want something unique, or something that perfectly reflects their cat’s personality, others may just want something they like the sound of. Taking inspiration from human names for your pets is a great way to find the perfect name. Here is a list of female names that you might want to choose for your Siamese cat. 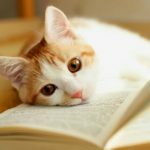 Check out 250 more Female Cat Names here! Check out 250 more male cat names here! Rather than using a human name, you might prefer a name that tells others a little bit about your cat. 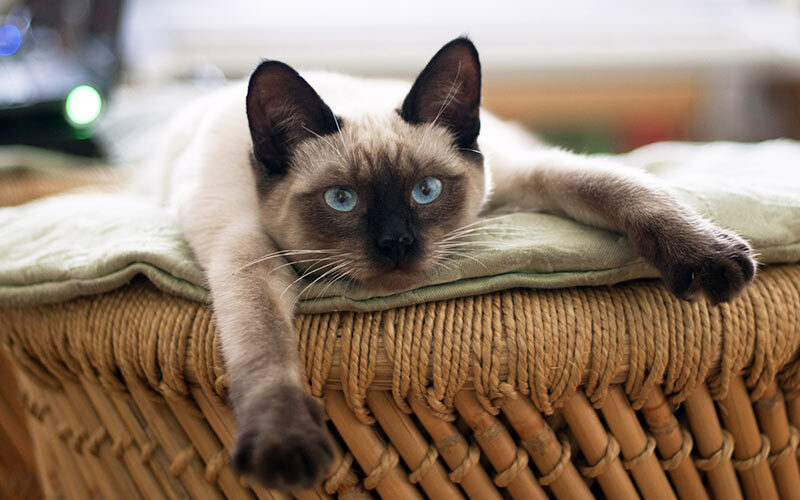 Siamese cats are social, talkative, intelligent and playful. These characteristics are a great source of inspiration for a name for your pet. The names suggested in this category are split into male and female, and their meanings will be in brackets. 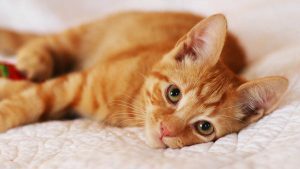 Choosing a name with an interesting, significant meaning is the perfect way to guarantee your cat’s name is just as full of life as your pet itself! Check out 300 more Cool Cat Names here! Many names that people give to their pets are unisex and are derived from other things that can complement the lovable personalities and beautiful appearances that animals like Siamese cats have. 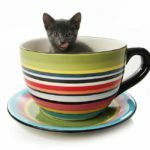 You could use things from nature that bring ideas of beauty to show off your new cat, or names that show off the energetic, social personalities of Siamese cats. Here are some examples you could use. Check out 200 more Cute Cat Names here! Siamese cats originated in Thailand, so perhaps you’d prefer to give your new pet a Thai name. This can mean your cat’s name is a little more unique, and a sign of your pet’s heritage. This section will suggest a few different Thai names you could use, and their meanings. Many people like to use their pet’s appearance as inspiration for a fitting name. 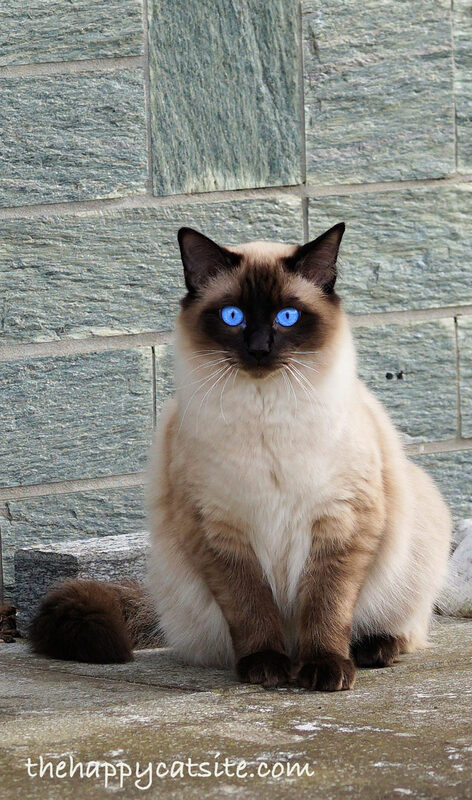 One of the most striking features that Siamese cats can have is their bright, vibrant blue eyes. Here are some names that you might want to use to describe the beautiful blue eyes of your Siamese cat. 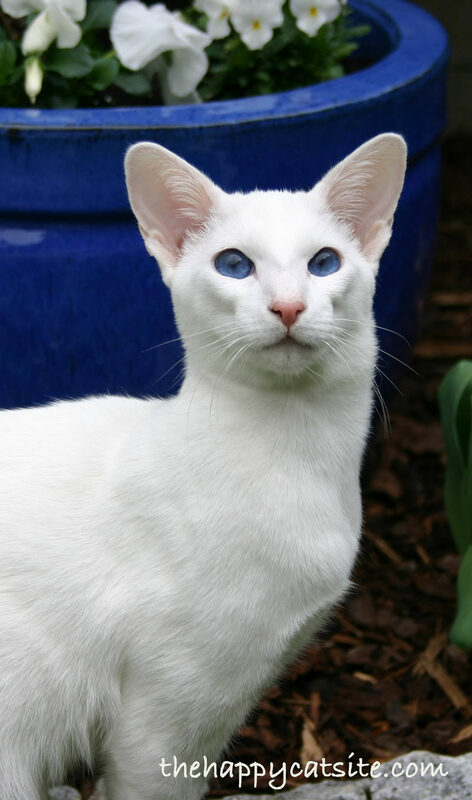 Another source of name inspiration you could use for your blue-eyed siamese cat is famous celebrities with blue eyes! 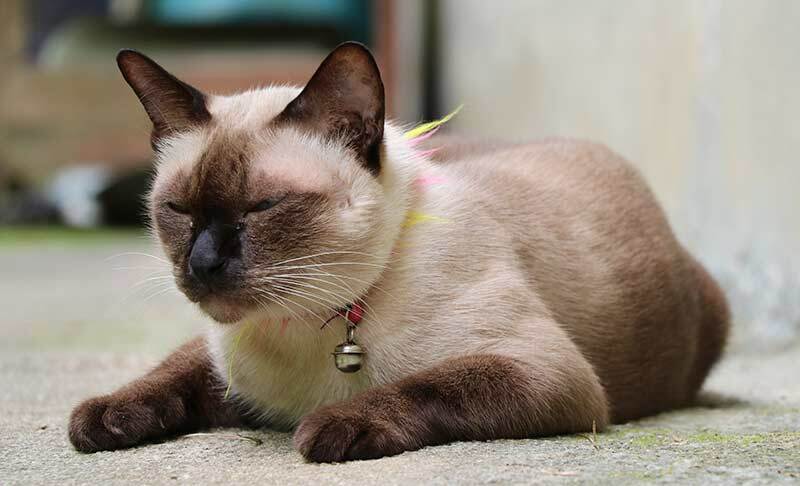 Seal point is one of the colors a Siamese cat can be. It is when the cat has a light, creamy colored body and darker extremities. Siamese cats that you see on TV are normally seal points. 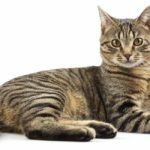 You could choose a name for your cat that describes or accentuates these physical features based on either the color of your cat’s fur or on it’s markings. Lots of people want names for their cats that are completely unique, just like the personality of their new little pet. Finding a unique name can be difficult, but there are ways to find less common names. Here are some names that have been less popular recently that you might want to bring back! Everyone’s going to have a different idea about what the best name is for their Siamese cat. Here are some that you might love! Still Can’t Choose A Name? Do you have a Siamese cat at home? Tell us what you’ve called your Siamese cat, or if you can think of any other names that would be perfect for a Siamese cat to help out our other readers! I have had Kupp, Bluemoon Capricorn! My daughter had Leo, Cougar and Jaguar! 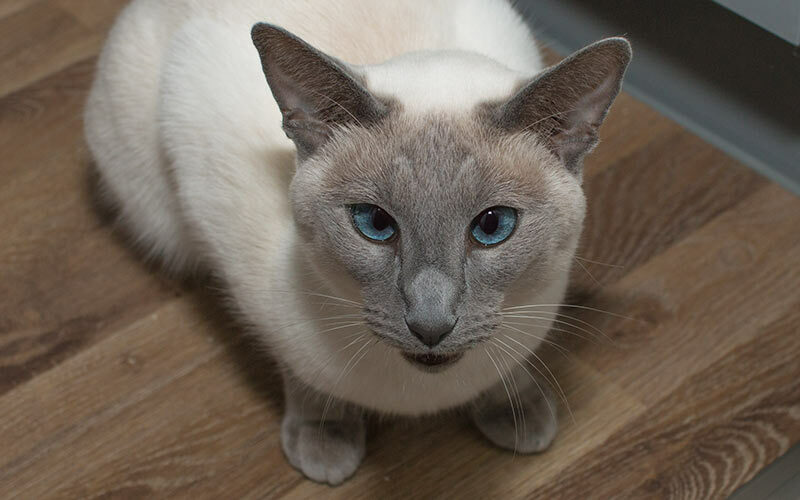 My new Siamese,U think will be Siami – but I’m thinking about: Skye, Siam,Si, Sirachi, Yin Yang, or Yoshi! We have two Siamese snowshoe babies, one male and one female. We named them Yin and Yang. Their foster sister is Woogi. Pronounced wooji. I have Siamese sisters named Opal and Pearl because they are true gems!! I named my male Siamese…Ezra. I had a male named Wong Chu (pronounced Wong Chew) and a female named Mai Ling (May Ling). I had a male seal point Siamese as a child, his name was Rama. My new female Siamese kitten is named Keiko. I was having a lot of trouble coming up with a name for my Siamese kitten, but he ended up choosing his own name. While having dinner with my husband, he was napping in my lap. When I started discussing something being a little bit spicy, this little kitty started going crazy! After repeating a few other names I had picked out and no reaction at all, I started talking about spicy food again and he went nuts! So we named him Spicy and his personality is definitely fitting. My 18 year old seal point died in his sleep on fathers day.. His name was Simon..Today 1 month later. I got the perfect male kitten. I need a great name. We recently lost our gorgeous blue point, he was named Cosmo. My cat’s name is Lucky because when my mom got him from the shelter my dad said that he is lucky that he can live with us and that name just stuck. I had a Seal Point we named Fat Albert and a Red Point we named Rusty (because the older she got, the darker she became). Miso,Mocha and Sake were the names of the 3 Siamese I had.